We recently added the whole line of harvesting equipment to our farm; pickup machine, shuttle cart, and elevator. We check these too and start hooking them up to the tractors to make sure they will run smoothly. 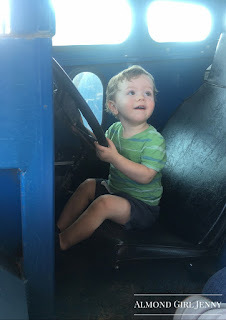 We also might have to make any modifications to the tractors to be able to pull the new equipment. Even more importantly, before the equipment will be able to start harvest, we need to make sure our fields are ready to go. We irrigate the trees to give them one last healthy drink before harvest starts. During the harvesting process it can sometimes take a good 3 weeks to shake, dry out and pick up a variety. 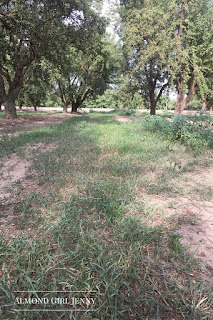 While drip irrigation allows us to irrigate while we have nuts on the ground, we will be busy with running the equipment and may not have the time to start the pumps to get the irrigation started. 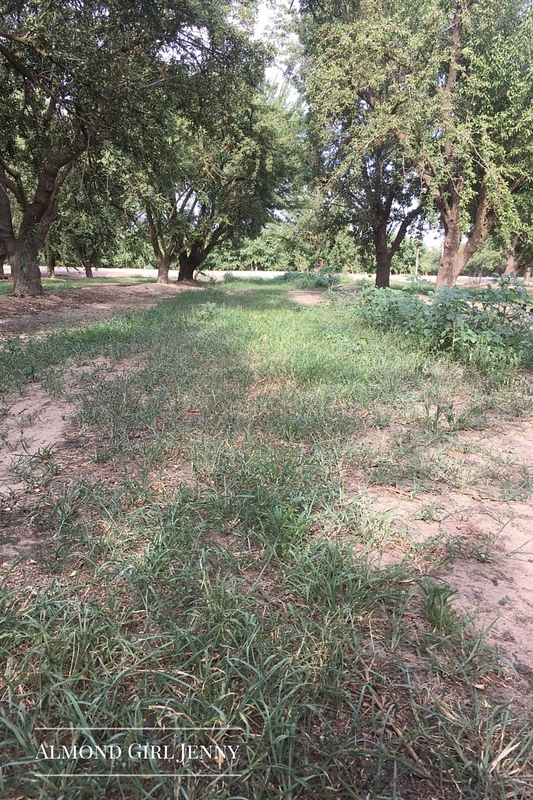 We want those little almonds to have a good drink before harvest to prevent them from getting to water stressed. The orchard rows themselves have to be prepared before harvest can start as well. We mow the rows to get rid of all the weeds and grass and to make the rows nice and clean. The nuts can get stuck in the grass and clog up the pick up machine if there is too much debris in the rows. We also level the problem spots in the orchards. 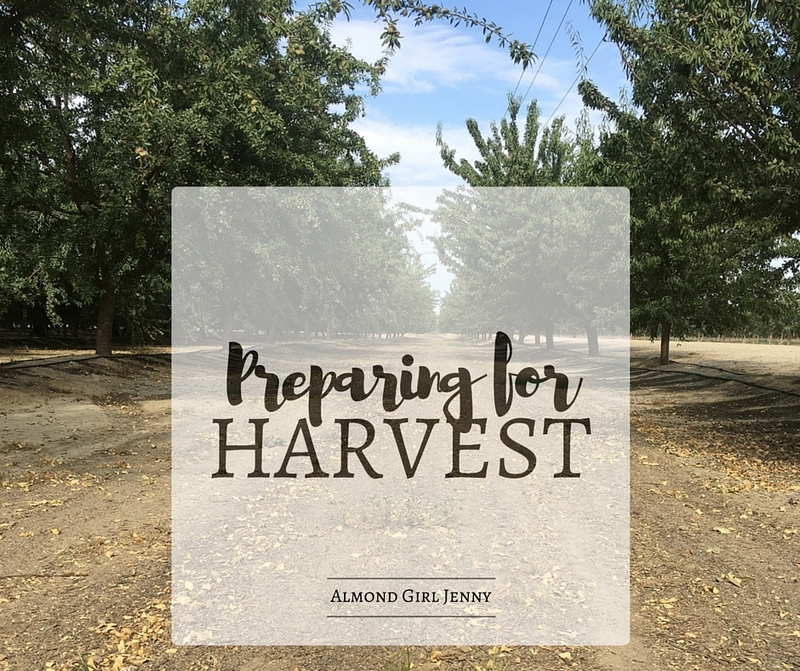 The almonds can get stuck in the holes or tire tracks in the fields and they won't be picked up by the sweeper or pick up machine. 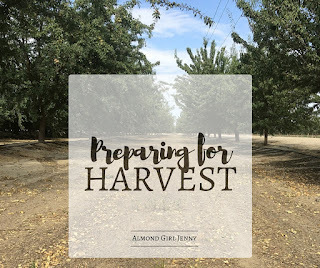 We want to make sure every last almond is picked up and sent off to market. Once all this is complete we will be ready for harvest....but first this farming family needs a vacation before the onset of long days for a few months!